The journey started when the DHS agreed to come and live and work among the people of God in Ogbomoso land. 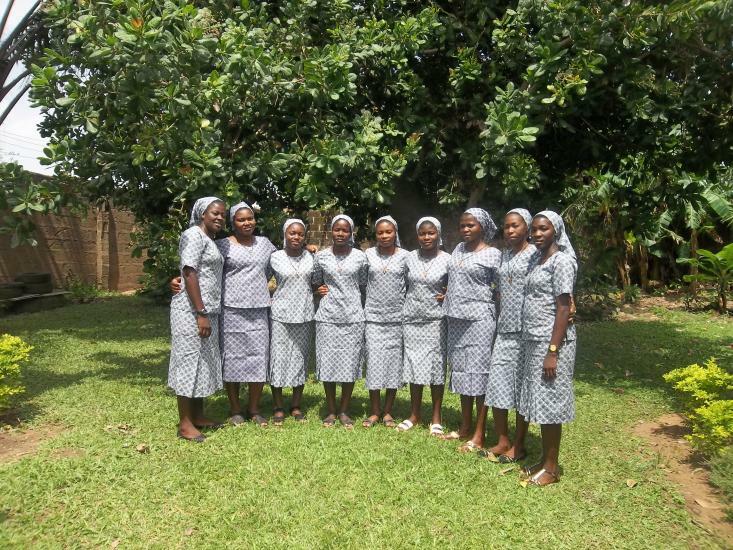 According to “Ise Oluwa” a history compiled by Sr. Veronica Harahan, said that, “At the inauguration of the Vice-Province in April 1986, were representatives from St. Ferdinand Parish Ogbomoso. Among them was Sir. Joseph Aremu who later led the other members to Bishop J.B. Adelakun and Sr. Anne Marie Couloignier for DHS to come and be in the midst of Ogbomoso Catholics, though, the town is predominantly Baptist. A piece of land was acquired and a convent was built. In 1989, 6 young women came to start their postulancy. They were: Dorothy Okuma, Getrude Nwachukwu, Monica Anyi, Roseline Odunze and Cecilia Anukem. The sisters, Joan Harrison, Lorraine Duval, Veronica Harahan and the Vice-Provincial, Theresa Buckley, welcomed them. We thank the good Lord that the six of them are still with the congregation and sharing the joy of the risen Lord with their Sisters and Brothers. 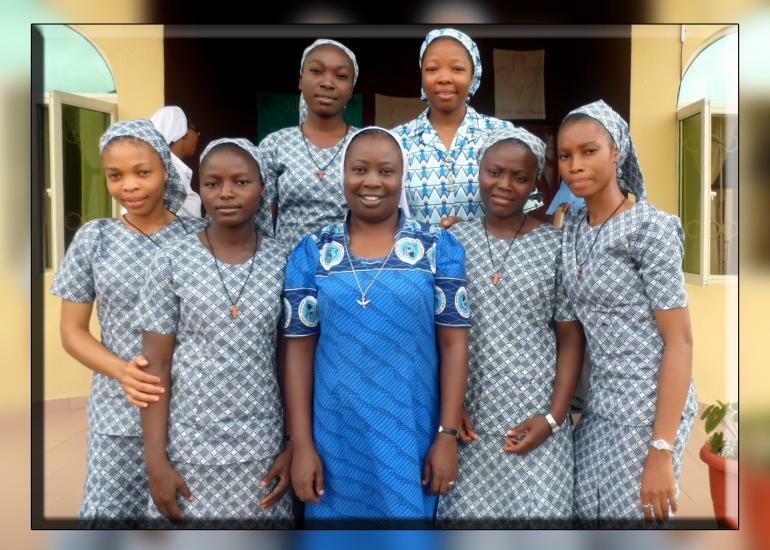 Each Year, since then, has seen young women coming to Ogbomoso to discern their vocation, to listen to the Spirit and to follow in the footsteps of Jesus Christ. Ogbomoso is always the first house, the place to recognize and reflect about the love of God in One’s life. The Postulate house has welcomed more than 60 postulants and the numbers keep increasing yearly. We thank God. 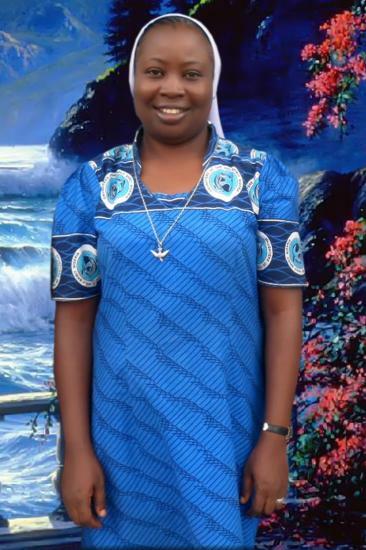 Sr. Bernadette Apere - 1997 till early 1998 (She was around to help Sr. Veronica Harahan who was home due to sickness/holiday). Then going to Maryland Nursery / Primary School where we teach and pay attention in a special way to slow learners. We take part in both curricular and extra-curricular activities which helps to deepen our knowledge of the Charism of the Congregation. We try as much as possible to spread out to all parishes in Ogbomoso zone and some of their outstations. There, we join the Christian Community in evanelization and the spreading of God’s Kingdom. We pay particular attention to Children’s Liturgy, Catechesis, Choir, Youth and Lector. 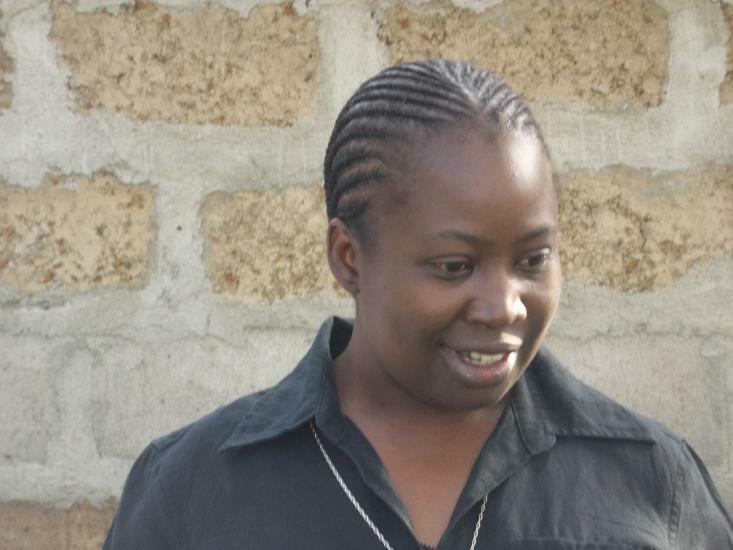 We visit families in our different parishes and people living around us, including the lepers. In 2002/2001, another block of building was added to the Postulate blocks to the sitting room, Classroom, Store, bathroom & toilet. On 14th Feb., 2013, a new foundation was laid for new postulant building not far from the community. The movement will forever be historical because the former postulant building witnessed the formation of the foundation members of Nigerian DHS and it’s walls have a story to tell. The new building, as well, will welcome the new generation and continue to be a welcoming house where young women will continue to “come and see” what the Lord has for them. How do you Want to keep the Charism Alive? 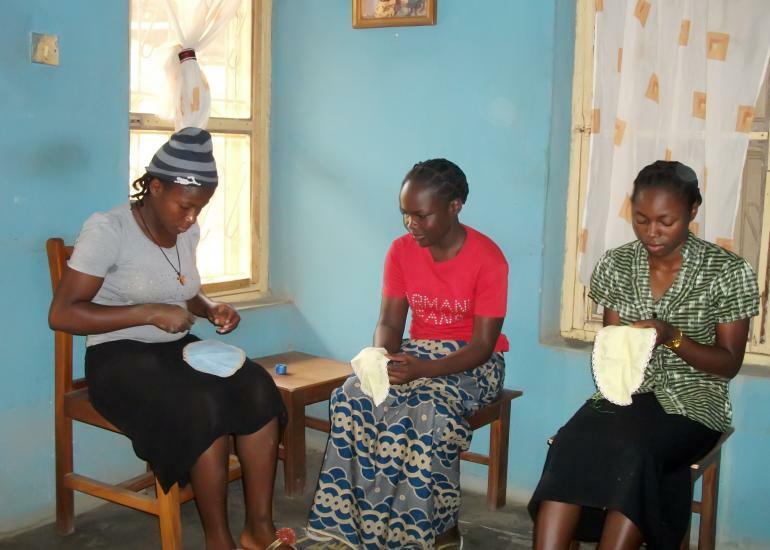 - By continuing to be a sign of love among our Brothers and Sisters in Ogbomoso Land. - By letting people see Christ in us by the way we speak, work and act. - By keeping up with our visitations to all around us. - By paying attention to the Children, the Youth and the Poor. - By showing a sign of unity and oneness in the way we live together and witness to the risen Christ. We will need donors to help in sponsoring the formation and medical test of the Postulants, which have always been a challenge. 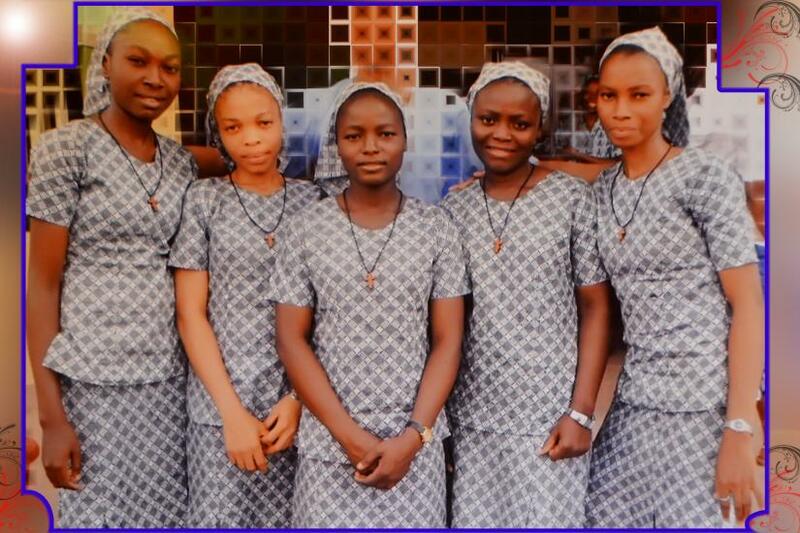 We were received as postulants in the congregation of the Daughters of the Holy Spirit on Monday 19th May 2014. We started this day by attending mass after which we prepared food and snacks (fried rice, cake, prawn crackers, e.t.c.). The order of reception started at 10.a.m. in the Daughters of the Holy Spirit, Ogbomoso community chapel with an invocation to the Holy Spirit followed by introduction of our symbol. -The scattered broom represents each one of us coming from different background and culture to form a Christian community. - The broom was gathered symbolising our coming together to form a team. - The gathered broom was bound by the rope which represents the love of God that binds us together to be united and to work as a team in the service of God and humanity. We then had an entrance hymn from hymns Old and new 62. A reading was taken from the Holy Gospel according to John 17:11-23 and psalm 133:1-3 was also read. 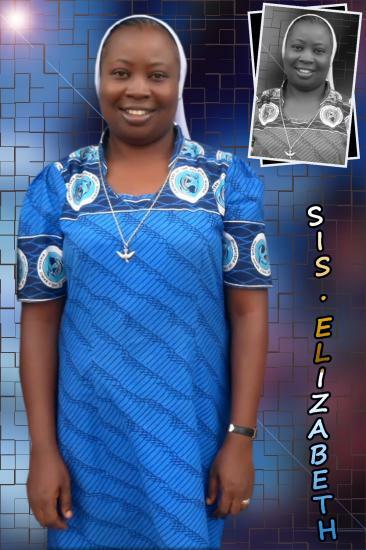 A reflection was given to us by Rev Sr. Cynthia Azughara telling us that we are the first and primary formators of ourselves therefore we should try as much as possible to form ourselves into better persons through the help of our formator, Sr. Elizabeth Babalola. She also affirmed and encouraged us to live according to the symbol we have chosen. The rite of reception followed immediately after which we were presented with our emblem as a sign of acceptance. We signed the congregational register. In our intercession, we prayed for the Spirit of love, togetherness, humility and openness that will enable us to achieve the aim of our symbol. Presentation of files followed immediately after. The concluding prayer and final blessing was said by Rev. Fr. Anthony Olarenwaju. In conclusion, we took pictures with the priests and sisters who were present at the celebration, followed by “Item 7”. To God be the glory for how well he has journeyed with us so far, for the past few months that we have been in the formation house, our experiences are as follows. Community living: In our community, we live together, pray together, work together such as farm work, rearing of rabbits, snails, poultry, e.t.c. Classes: For first year postulants, our classes commence each day at 10a.m. and ends at 11a.m for morning classes. Our evening classes commence at 4.p.m and ends at 6p.m. 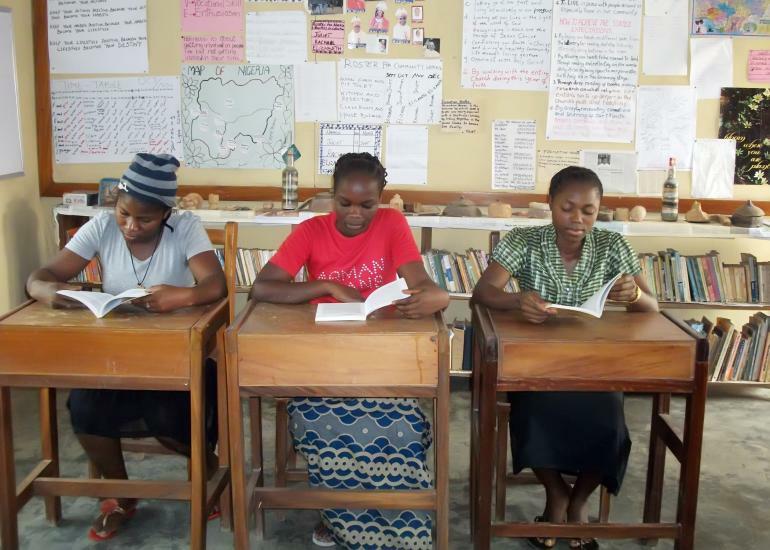 In our classes, we learn different subjects such as scriptures, sacrament, human development, communication skills, Home Economics/creative arts e.g. embroidery, knitting, making of cards, tie and dye, cooking of variety of food and baking. We also engage in other extra-curricular activities e.g. attending workshops and seminars, watching of educative movies, e.t.c. Our second year postulants attend French classes from 11.a.m- 3.p.m. daily. We work in the school between 7.30a.m. to 10a.m. every day. Some of us teach the slow learners while others work in bookshop. We work in different parishes taking children liturgy, working with youth (CYON), choir and other pious societies, we also do visitation. 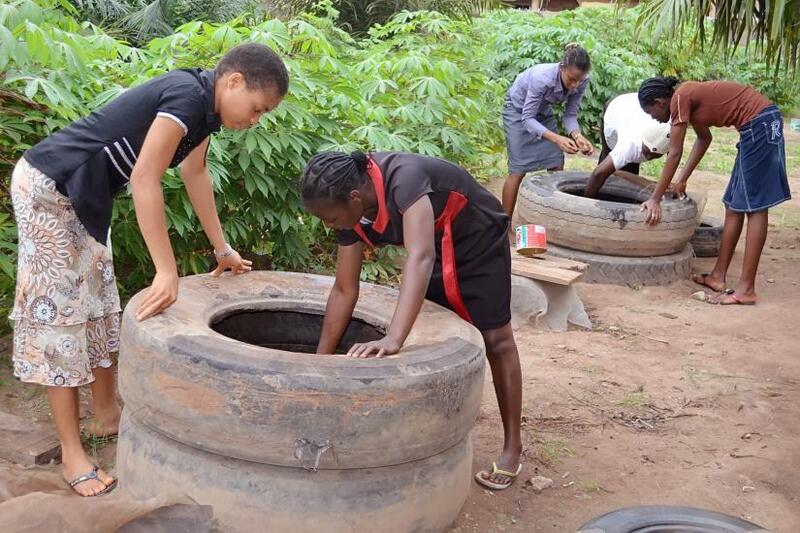 We visited St. Don Bosco Institute and vocation centre, Ondo on 11th-15th August, 2014. On our arrival at Don Bosco (4. 20p.m. ), we were warmly welcomed by the brothers and taken round to see the various departments. Proper introduction was done after supper. Music: learning how to play different types of musical instruments and singing. We also received a talk on the life of Dominic Savio who associated with St. Don Bosco. We learnt more bakery and fishery techniques. We also learnt more on how to relate with youths and children. It is also good to mention that on our way, we visited Our Lady of Lourdes Catholic Hospital and St. Mary’s Rehabilitation Centre Ipetu Modu; we visited Modakeke community and Obafemi Awolowo University (OAU) Ile-Ife. In all, the experience was wonderful, interesting and educative.